Fate made no mistake when it nudged my parents to name me Juliet, one of the worlds’ most feminine monikers. It’s my destiny to speak to all women through my paintings. With optimism, humor, and a bit of firsthand knowledge, I capture the experiences that make us feel happy, confident, and loved - and the ones that are nearly impossible to understand. Sorrow can be just as beautiful as love. Overscale eyes are more insightful windows to the soul. Beyond bright, joyful colors there is a hue of truth. 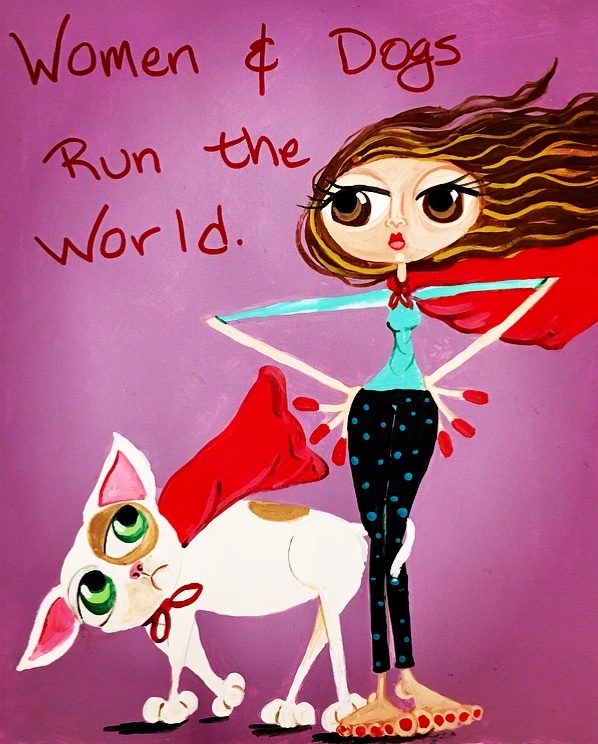 Women and dogs run the world.